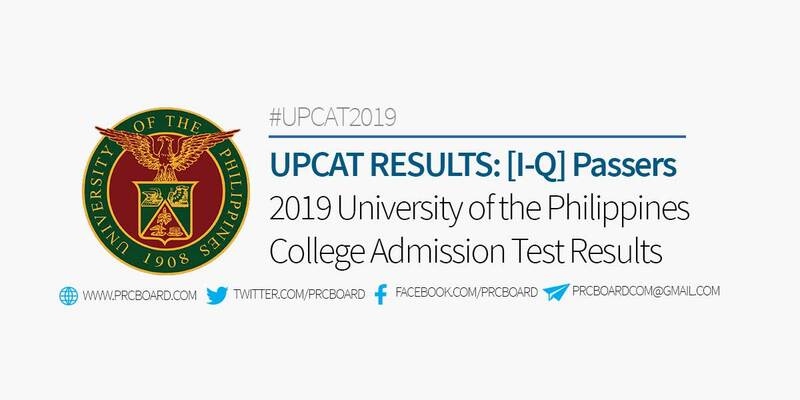 MANILA, Philippines - The official results and list of passers of the University of the Philippines College Admission Test or UPCAT 2019 conducted on October 26-27, 2018 are released by UP College of Admissions on April 1, 2019. Below is the list of passers for UPCAT A.Y 2019-2020 with surnames starting with letters I to Q. The list is courtesy of the UP College of Admissions. kailan po ang result ng UPCAT?